Alaska may have the highest rate of suicide per capita in the country, but thousands of people across the state have vowed to work toward reducing that figure and creating a healthier, happier, and brighter Alaska for future generations. 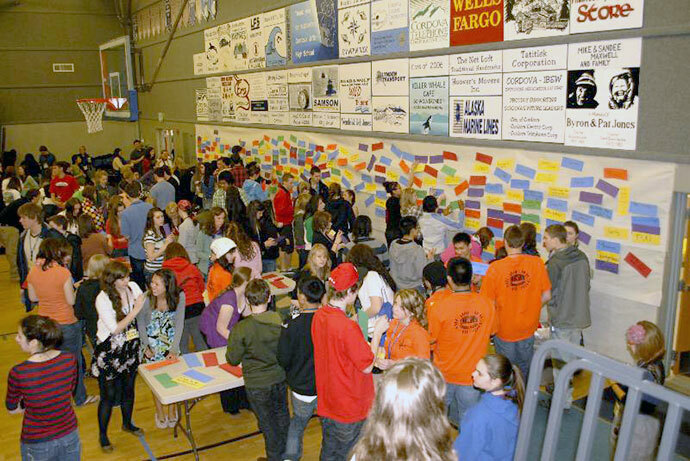 Students from across Alaska have decided to create a “Wall of Hope” at their schools during Alaska Suicide Prevention Week held September 9-15 to identify positive aspects in their lives that highlight why living is important to them. It is important that students work together with their peers, teachers, counselors, and administrators in order to conduct a safe, informative, meaningful, and memorable “Wall of Hope” in their schools. Creating a “Wall of Hope” is simple and there is more than one way to do it. The importance of this activity is to promote hope and optimism for the participants, along with a sense of purpose and reason for living. The basic premise of the project is for each student to identify three things in their life that make them want to live. They could be as straightforward as “my dog,” “my family,” or “basketball,” to the more complex, such as, “graduating college,” “visiting France someday,” or “writing music.” The importance of the exercise is for the students to identify three things to be hopeful for going into the future. It is also important for school officials to monitor for potentially harmful or hateful words or phrases. • Provide each student with three colored pieces of paper or three index cards to write their reasons to be hopeful on, which can then be taped onto an identified wall. • Tape up a large piece of Butcher Paper along a wall and have students write their three reasons to be hopeful on the paper with colorful markers. • Provide students with three pieces of Caution Tape and have them write one of their reasons on each piece. Then tape them together into a chain that is then interlinked with the other students’ pieces and hang them along a wall. There is no right or wrong way to create a “Wall of Hope,” as long as it promotes healthy living and a hopeful future. It is encouraged that each school make their wall appropriate to their community and its student body. It is recommended that this be done as a school-wide activity and that school counselors are on hand to identify and assist any students that may find the exercise overwhelming or traumatic. 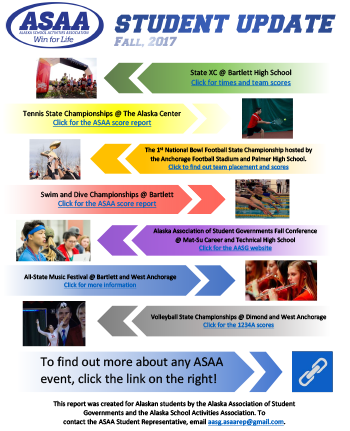 The project is a collaboration between the Alaska Association of Student Governments, Alaska Native Tribal Health Consortium, Southeast Alaska Regional Health Consortium, the Statewide Suicide Prevention Council, the Advisory Board on Alcoholism and Drug Abuse, the Alaska Mental Health Board, the Division of Behavioral Health, the Department of Health and Social Services, and numerous schools and school districts throughout Alaska.